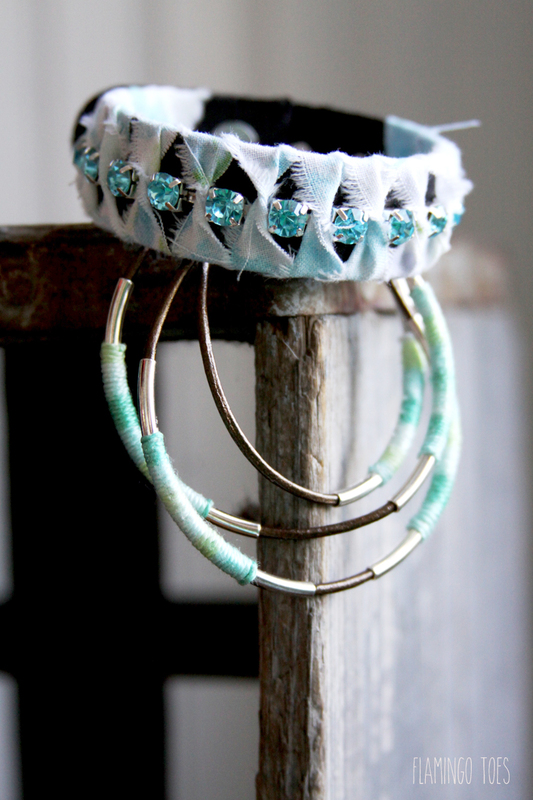 I love combining different textures in jewelry – I think it makes pieces so fun! You can really mix and match things when you start adding in several different materials – and it is a great way to customize your jewelry and make it your own. 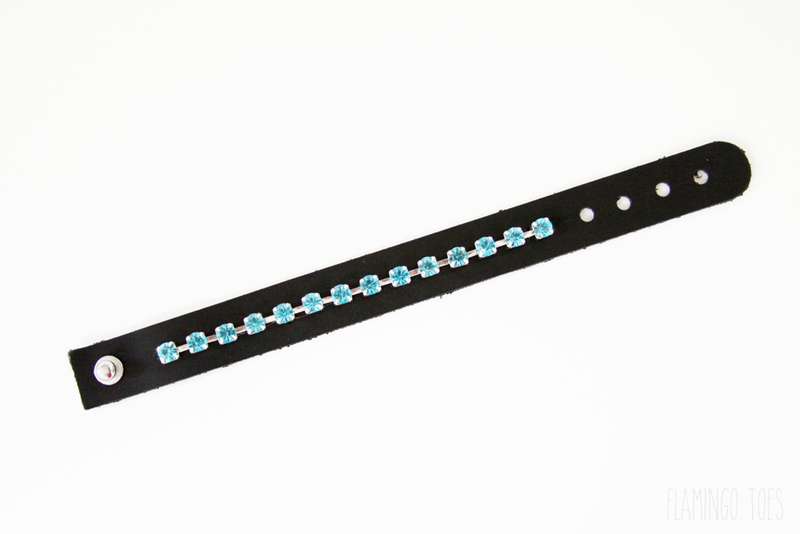 Today’s pretty Leather and Rhinestone Bracelet is the perfect accessory to add your own twist and colors to! 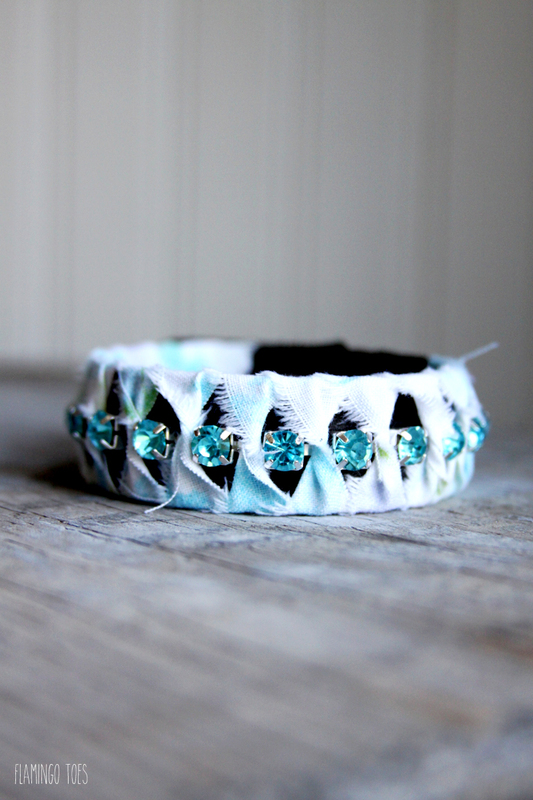 This is such an easy bracelet to make – you don’t any experience either! 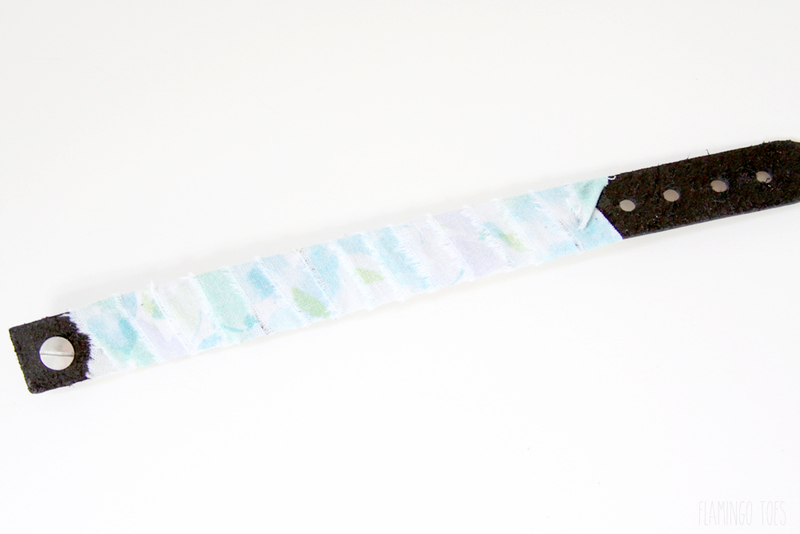 It’s a quick project you can make up in about a half an hour and it would be a great gift too! 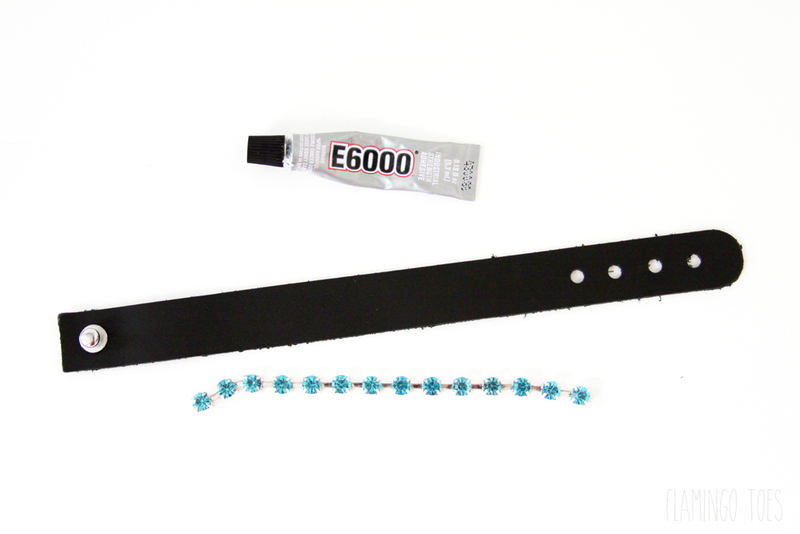 Measure out the rhinestone strand – you want it to fit in the middle of the leather bracelet without overlapping the fastener. Trim the strand with wire cutters if you need to. Glue in place with the E6000 glue. 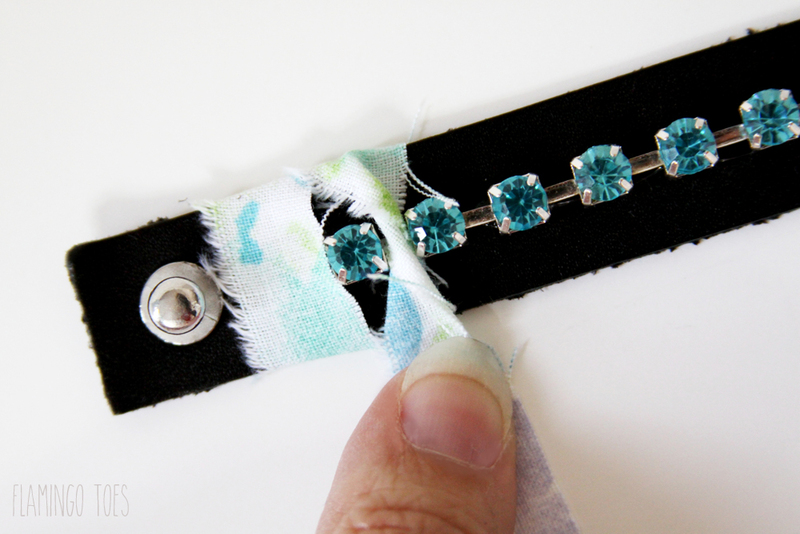 Glue the fabric strip down on the back side at one end of the bracelet. Begin wrapping the fabric around cuff. Between the rhinestones twist the fabric twice so that the right side of the fabric is showing at the top and bottom of the rhinestones. 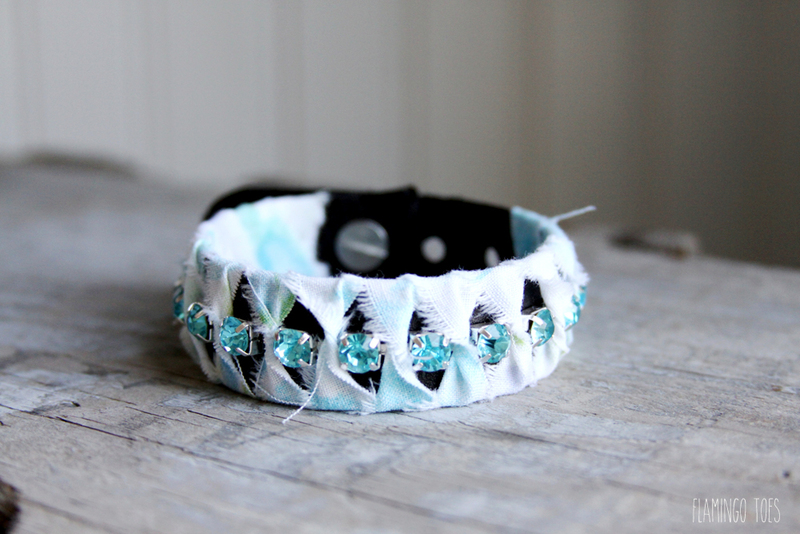 Keep wrapping and twisting the fabric until you reach the other end of the bracelet. 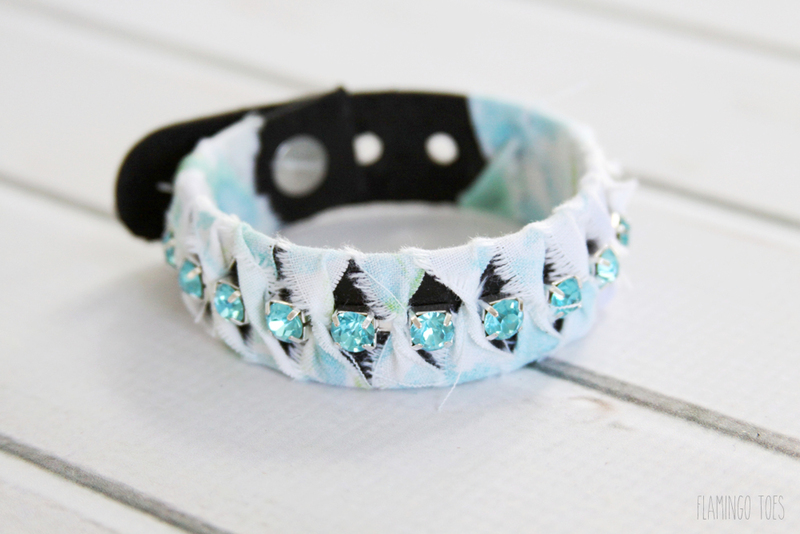 Fold the end of the fabric under on the back side of the bracelet and glue the end down. 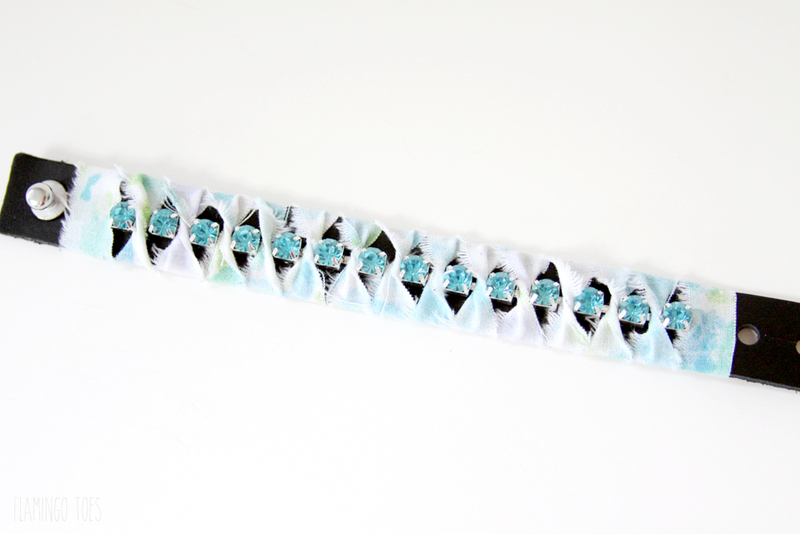 The back of the bracelet should just be flat fabric strips. That’s it! Super easy right?! 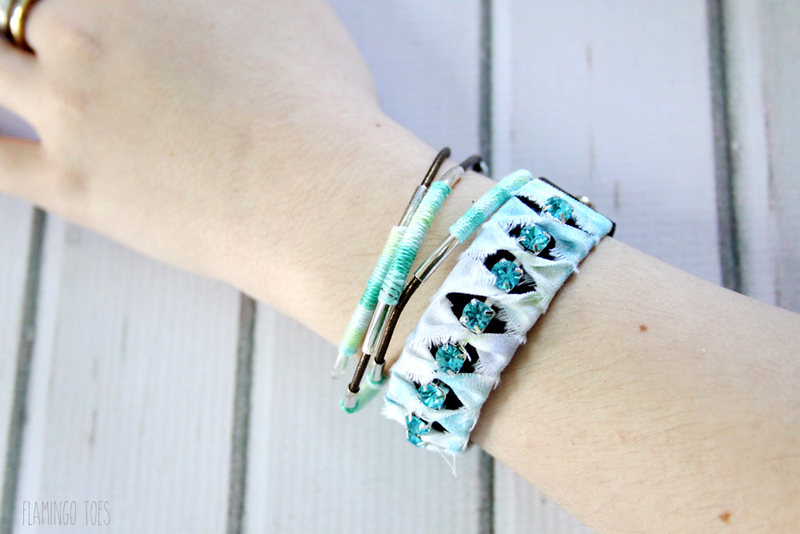 This bracelet looks great stacked with others too! 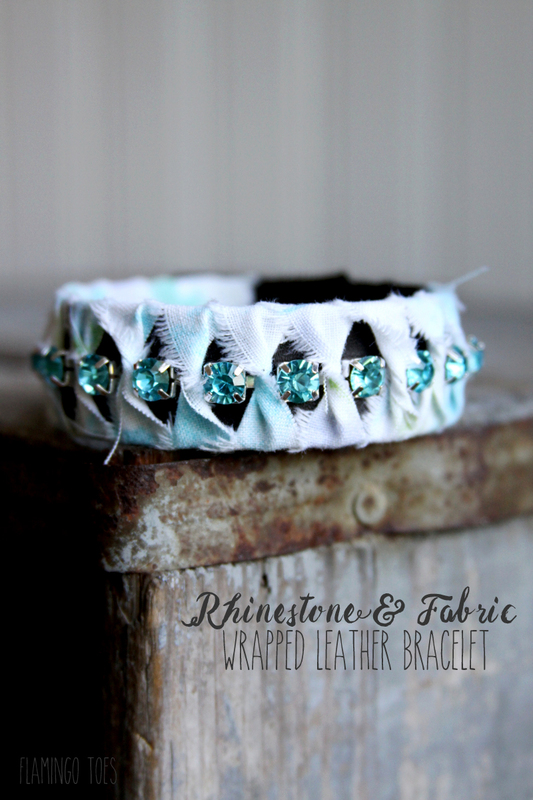 Today over at I Heart Naptime I’m sharing this cute Thread and Leather Wrapped Bracelet that you can pair with the Leather and Rhinestone Bracelet – so you can head over there and check it out! 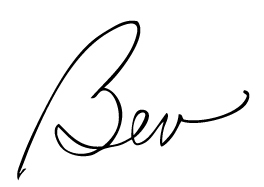 Bev, I love this post. My teenage grandchildren would love the bracelet. I am always on the look-out for crafts to do with them. I would have to start with a purchased leather bracelet first. Thanks for sharing at Snickerdoodle Sunday. I hope to see you at the party next week. beautiful! 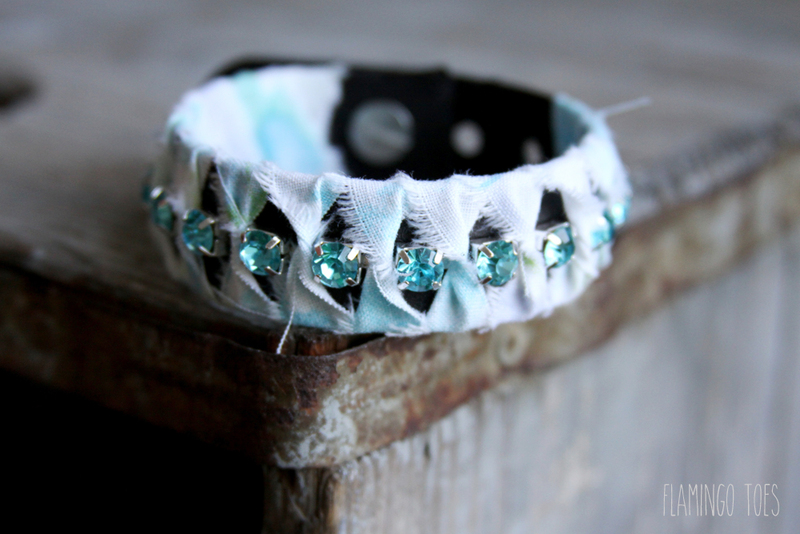 this leather and rhinestone bracelet tutorial is awesome! so lovely, so easy to make and easy to personalize – you could have one for every day of the week! thanks for sharing at Snickerdoodle Sunday! This looks so cute! I love that you chose a piece of fabric! I love this. The colours are great – the blue goes so well with the leather. I also love combining different textures in jewellery! Very pretty! I love the technique you used to manipulate the fabric. What a wonderful mix of materials! Can’t wait to make these with my girls soon.